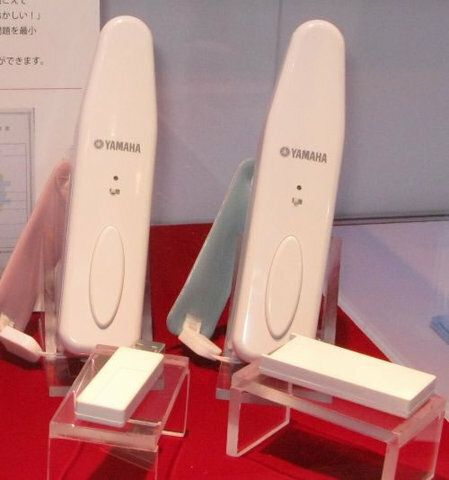 Yamaha showcased a stick-like device, “Muro Sensor,” that can be used to play music by sensing the direction and speed of acceleration. 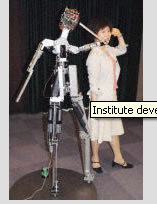 The Muro Sensor, in its about 15cm long chassis, is..
A robot developed by the Robot Research Institute at the New Industry Research Organization,Japan imitates a pose taken by a woman. The 160-centimeter robot can assume human-like postures by simultaneous control of.. The 12th RoboCup International Competitions and Conferences, RoboCup-2008 Suzhou was held on July 14th – July 20th, 2008, Suzhou, China. 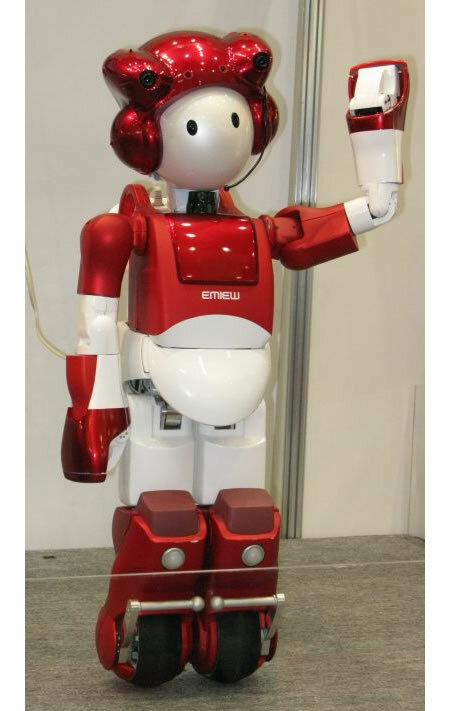 Over 300 teams from 30 countries took part in the game this..
Hitachi exhibited its second humanoid robot EMIEW2 at the recently concluded Hitachi uValue Convention 2008. Hitachi light weight humanoid robot EMIEW2 weighs 13kg and can move on wheels as well as two..
ChemBots to sneak into your body and biodegrade once the task is finished! Squeezable chemical robots designed to mimic caterpillars may one day be used to sneak through tight spots before expanding to 10 times their size, then biodegrade once the task is finished. The..
A team of Korean researchers has successfully made a micro-mini computer keyboard with almost 70 100-㎛ components by pouring liquids onto boards. 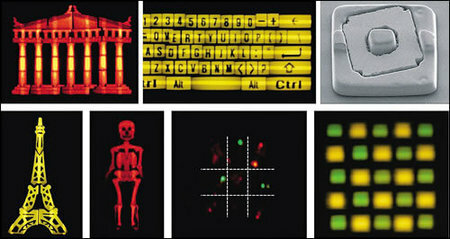 The team led by electrical engineering professor Kwon Sung-hoon of.. Robot POMI can express happiness, sadness, and joy! Electronics and Telecommunications Research Institute (ETRI) of Korea has developed a robot with four human senses such as seeing, hearing, touching, and smelling as interactive modalities. 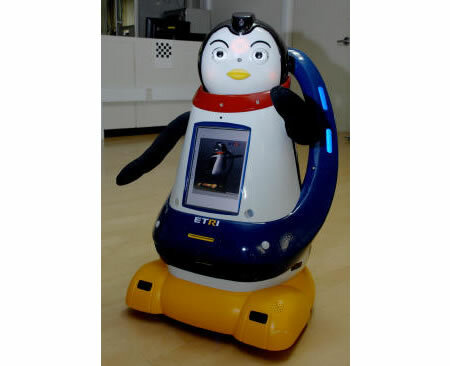 Named POMI (Penguin rObot for Multimodal.. 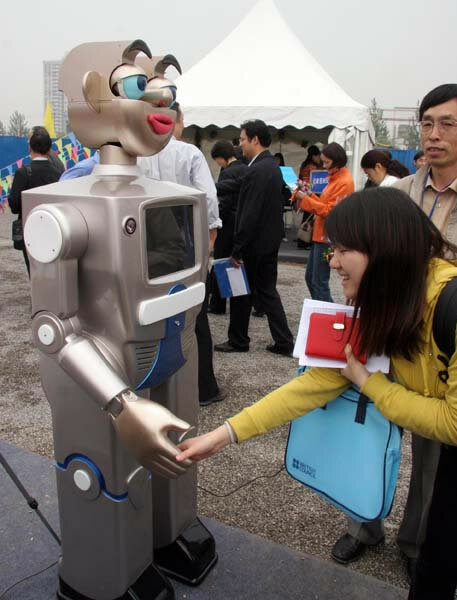 The human-shaped robot developed by Siasun will soon have a job at the administrative examination and approval service center in Shenyang, the capital of the northeastern Liaoning Province, providing investors with help..